To celebrate the beginning of the fourth season of Game of Thrones, what better than a Game of Thrones cocktail? My favorite character on the show is Dany, the Khaleesi, and I adore her so much that I declare any episode that omits her the worst episode known to mankind. Lady crush, I think. Plus, dragons. ‘Nuff said! 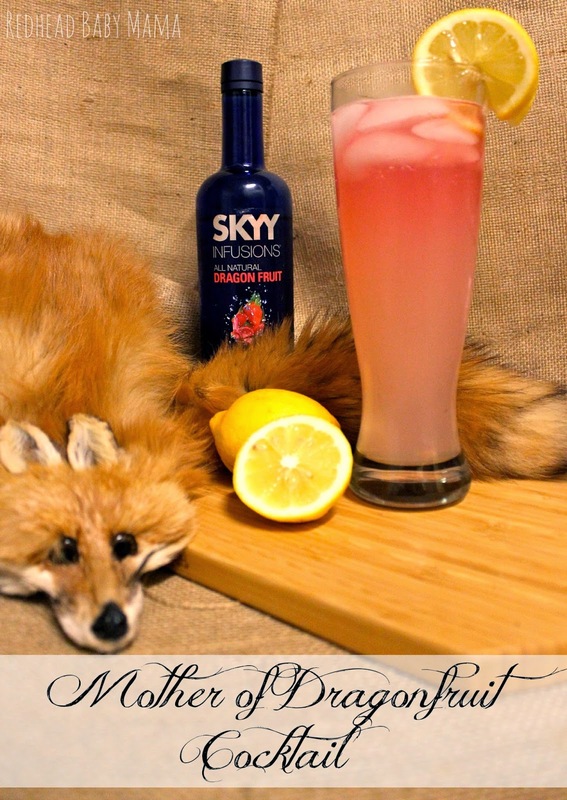 This drink has a lemonade base, with the bubbly sweet pinch of Dragon Fruit to celebrate the Khaleesi’s “children”. Mix one up and sip away during the show! Mix the first 3 ingredients with ice in a shaker, pour into your glass of choice. Top with the sparkling cranberry for a layered color effect, or mix right in and enjoy. Garnish with lemon slices. Who is your favorite Game of Thrones character? I’m planning on mocking up more recipes for this season, so I’d love your input as I consult my husband, the ex-bartender for more ideas! Oh, and follow my Pinterest Game of Thrones foods board for more seven-kingdoms feasting! We went to the aquarium in Cincinnati the other day. My son loved it! It makes me want to make sure we visit any aquariums when we are out traveling! Adorable photos! I love that last one, sums up the fun day! The porthole is the best part! How neat is that?! This sounds like a yummy cocktail! I’ll take 3 please! LOL! We have the Adventure Aquarium in NJ (about an hour or so from us) that is awesome for kids! We haven’t been yet, but we’re planning a trip soon! Don’t you love when you wear them out like that? Yum! I’m going to have to make this. Without the diet drink though my body reacts weird to it. But it looks like a drink I’d love. Very cool. I could definitely sip on this cocktail. I’m not big on alcohol but it looks like a yummy drink and gasp I don’t watch game of thrones. haha I know it is super popular but it’s just not my cup of tea. His outfit is the cutest!! I wish our city had an aquarium!! I love aquariums. My kids would be amazed at all the marine life. So, do I have to be a fan of Game of Thrones to be in love with this drink? The cocktail looks so good! My gosh that sounds good. I don’t even watch the show, but I certainly would love that cocktail! I like all that citrus in there. Citrus is my favorite flavor for a drink. That looks so delicious right now. I could totally go for that!! Me too. Love citrus drinks a lot!! I have never seen the game of thrones. Sometimes I feel like the only person that hasn’t seen it. Sounds very tasty! Perfect for a hot day – sitting on the patio! Ha! This is too fun! I may have to make this on Sunday. LOL- My husband and I were just talking about what to make while we watched the premier- now I know! I love show themed drinks! I love this and Game of Thrones! Can’t wait to enjoy one next week! Aww, he looked so excited as if he saw magic! How cute, he had so much fun he got worn out by the excitement. I’d love to visit that aquarium. This looks fun! I love aquariums. I still wish we had one close for me to take Leo and Emma to. It is great when you can have drinks and meals to match a movie or television theme. That cocktail sounds amazing! 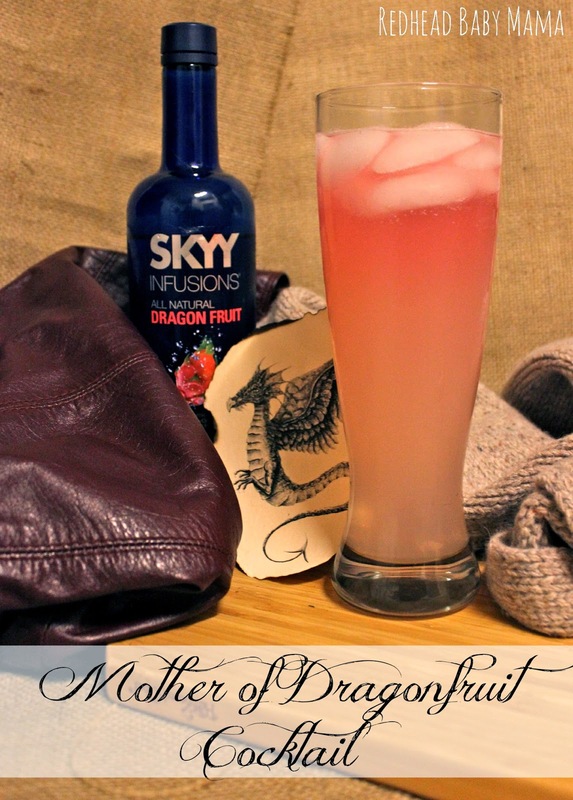 I’m not sure what the dragonfruit alcohol would taste like, but probably delish! I love themed recipes that go with shows or movies….makes it extra fun. I must be the only person on the planet that hasn’t watched Game of Thrones. Such a fun cocktail! Looks so good! Looks like he had a blast! We haven’t been to the aquarium in FOREVER, I need to take my kids this summer for sure. I have never tried this before. I do love Dragonfruit flavored Vitamin Water so I’m betting I would enjoy this! This looks and sounds sooo great!! I don’t watch Game of Thrones but i’ve heard that it’s really good. I love cocktail recipes, and I SO need to try this. I love, love, love the unique flavors of this! How cool is it that you can pop up into the Penguin Exhibit? I have got to go there! Red asleep with a shark head on a stick- EPIC! It is an amazing aquarium! I highly suggest making a visit!